When life gives you lemons, go out and buy some fun flats and sneakers. Because of my running injury, that’s just what I did this past Saturday, scoring not one but three new pair of shoes. 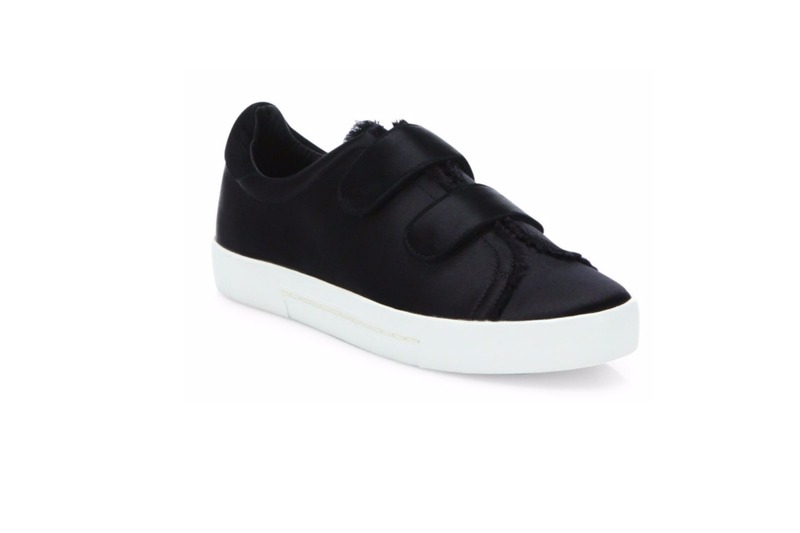 Picked up these flower embellished beauties from Tory Burch (got them in black and white :) ) and these very cool black satin, frayed trim sneakers from Joie. No need for me to feel down about my current dilemma. Luckily for me, there are so many great summer sandals and sneakers to slip into right now I’ll have no problem keeping things chic. 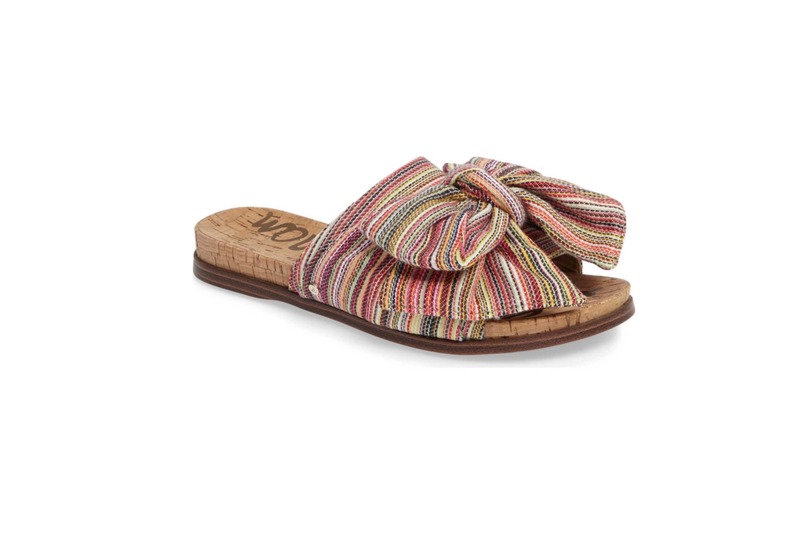 Several weeks back I picked up these super cute Sam Edelman bow slides (on major sale!) and had no idea I’d been living in them like I have. Pretty, comfy and best of all, so reasonable. Can’t beat that little trifecta. OMG…these are so perfect, Mary!! Love those shoes! Funny enough, I wore the espadrille version of the white Tory sneakers yesterday and love them – so comfortable! I may just have to pick up a pair of the black sneakers too :) Have a great day! I always knew I liked you. :) Way to make the best of your injury with some fun new shoes. Sorry about your injury, but you got some super cute shoes! Hope you’ll heal quickly! OHHH I Love these shoes! Those details are so perfect on them and I love that floral detail! I also love that you found some other fun options! They’re so gorgeous!! Wonderful photo. Hope you recover soon from the running injury. those sneakers are super cute!!! !